This vintage style Lamb Hat Crochet Free Pattern is really adorable and cute. It is designed especially for a toddler girl. 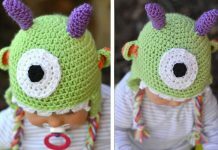 This lightweight and soft hats are great for your children to wear in winter or other cold days! It is so fun and comfortable that every kids must love it! With the texture of the yarn, you can get the fuzzy soft lamb look easily. It will be a perfect gift for kid’s birthday, easter, Christmas or other festivals. 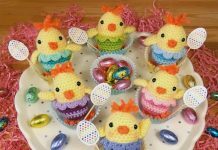 Thanks Jessica for sharing this free crocheting pattern. The link for the free pattern is provided below photo. Happy crocheting.